This is a map with some big cities scattered around and one bigger city (Pinewell) to the north. 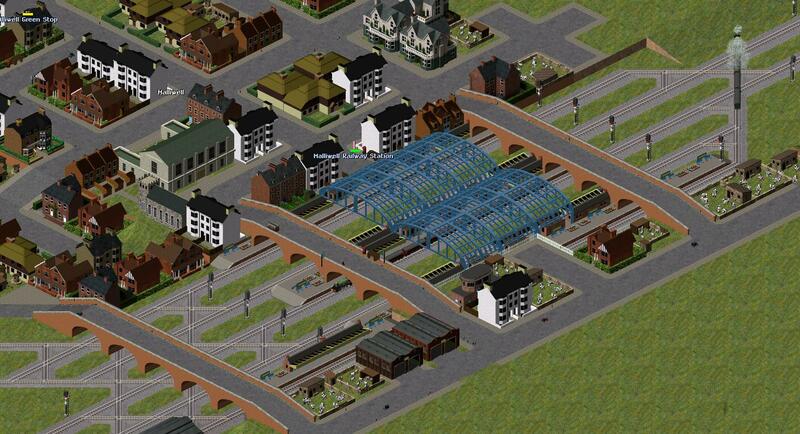 My goal was to create an adequate (to the time) rail network to then work through the problems arising in later times. I use Simutrans Extended, most importantly due to the balancing of trips and scheduling (on this map each month is six hours). 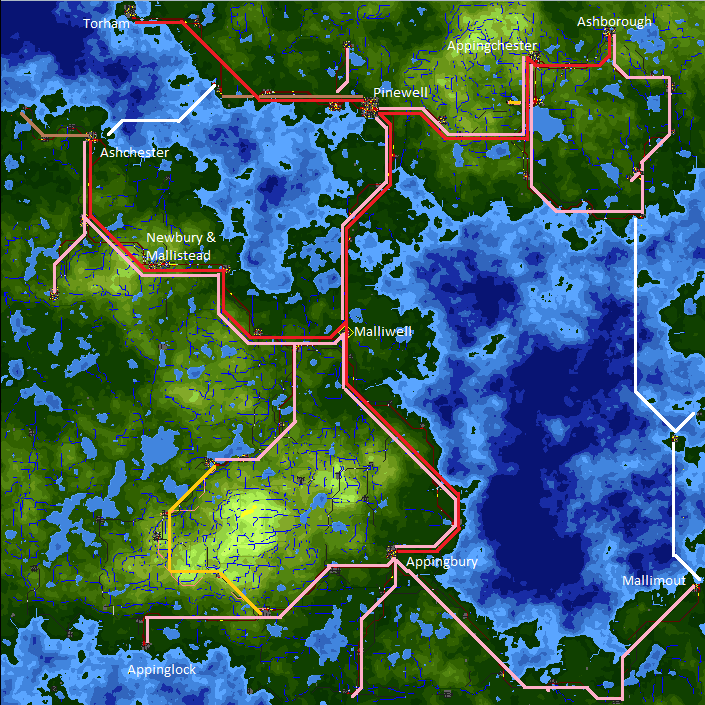 In Extended, fewer people travel to a point far away making for more realistic travel patterns. Sim's choice of transport method also depends on speed, comfort and price (i.e. an express service is better suited for less frequent service while commuter lines need frequent service). Starting in Pollingwick we head south on one of the two express services - to Ashchester and Appingbury (and one stopping service to Malliwell). Schedules prevent trains blocking each other and allow for transfers in Malliwell. South from Malliwell there are many stopping services. 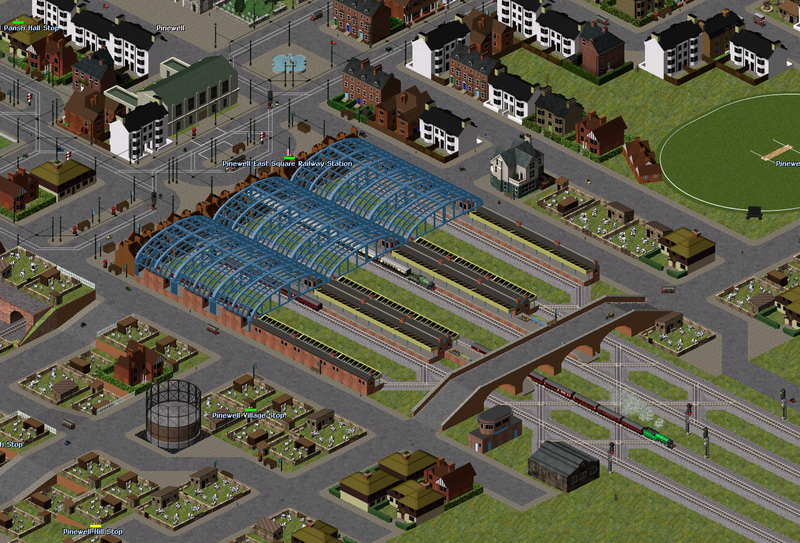 This makes Malliwell station very busy despite the city not even being in the top 15 cities by population. 12 trains per hour total pass through here! Finally, we visit the mountains. The terrain here is quite tricky and not suited for normal railways are not well suited for this. To deal with this and lower costs (especially due to terrain modifications) it was decided to build a narrow gauge line (seen in orange on the map). It connects the small villages in the mountains and, let's be honest, is very idyllic. Who wouldn't want to go for a vacation here? What now? Well, everything is centered around Malliwell and Pinewell. 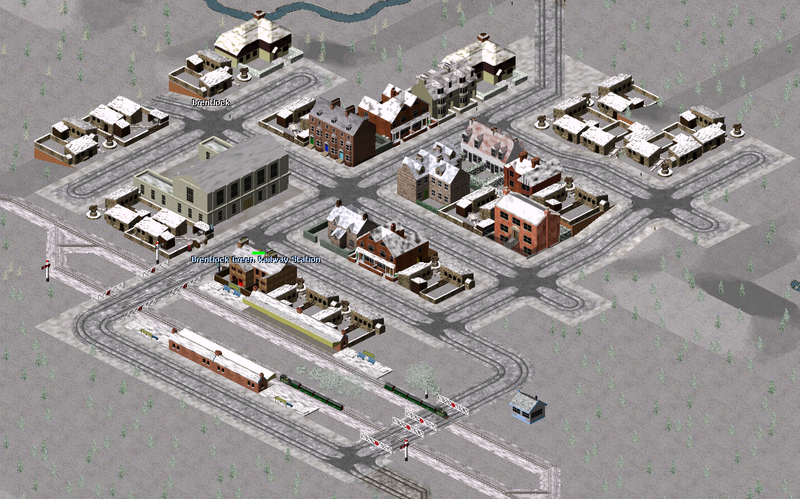 There are still unconnected cities, some might not get rail at all and some are eagerly waiting. It's only 1927, so there are still some Railway years to come before it goes downhill!